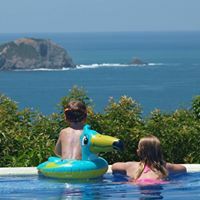 If you’re looking for practical, insightful tips from family focused travel blogs then you have come to the right page! 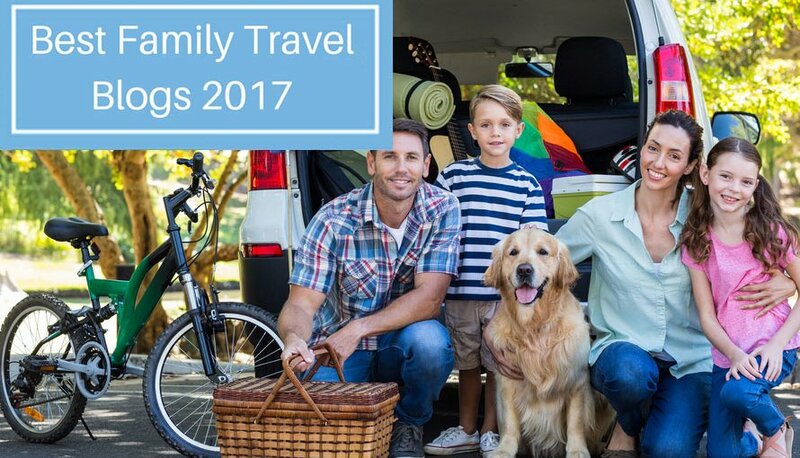 Here we have 47 of the best family travel blogs online that will give you the tools and inspiration you need in 2017 to not be shy about traveling with your family. 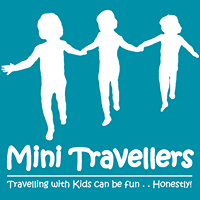 As you know there is a great array of wonderful and practical family travel blogs online. However we decided to really focus on the absolute best the internet has to offer. 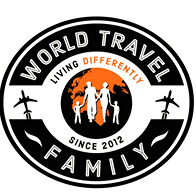 Whether you are a wannabe traveler who feels like your family is holding you back or a full fledged travelling family; there family travel blogs will give you the tools and inspiration you may desire while traveling as a family. The winner of 2016’s British Guild of Travel Writers award for Travel Blogger of the Year, The Family Adventure Project focusses great attention on physically active, outdoor activities that the entire family can enjoy. 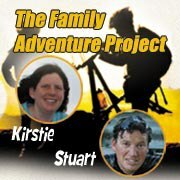 Following Stuart, Kirstie and their three children, this blog provides insight into hiking, cycling, skiing, climbing and sailing holidays all over the world, but rather than settling for simply reviewing hotels and facilities, this husband and wife team share tips on how your family can also embrace the daredevil lifestyle. This may sound like far from your idea of a relaxing family vacation, but Stuart’s blog on Why Explore? may change your mind – and if it does, you’ll find no shortage of advice elsewhere on the site to get you started. Ciao Bambino is the brainchild of Amie O’Shaughnessy, who has been blogging about travel with children in tow since 2003 when she realized that bringing her son on her adventures presented a new series of challenges. This blog specializes more on the review side of the business, with feedback on every accommodation site that various contributors have stayed in with their families – helpfully broken down with a graphic key to assert just how child-friendly a hotel is, and for which ages groups. The site also links with other travel experts to make bespoke recommendations for multi-generational vacation plans, and recommends particular locations all over the world in a breezy and enjoyable tone. 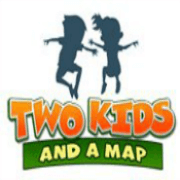 A multi-purpose site geared heavily towards travel arrangements that will delight children, Trekaroo offers the opportunity to pick your vacation destination and hotel and book them all in one fell swoop – great for convenience. 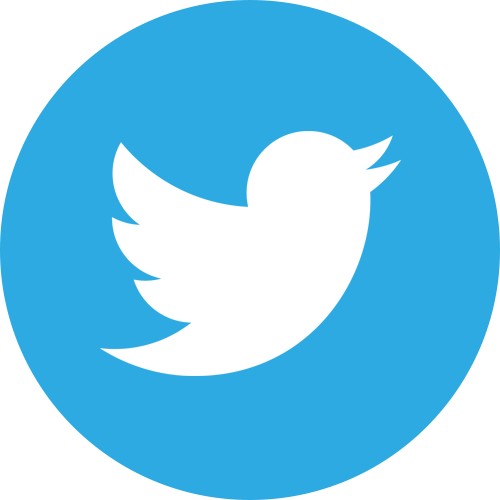 The site is run by a large team, which means that you will not be sifting through the personal experiences of one author, but instead receive a number of reviews and recommendations from all kinds of contributors. The focus is primarily on US destinations but you’ll find plenty of info on major European sites and hotels too, and you’ll find a particular focus on theme parks and open spaces through the world. 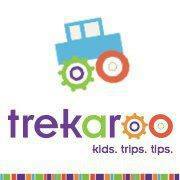 Unique touches such as Trekaroo’s Road School make this a worthy visit for any family of travelers. Is this Australian site the most comprehensive family travel resource on the Internet? You’d have to brave to bet against it being so, with the Bender family detailing their visits to over sixty destinations since they began their nomadic lifestyle a few years ago. Thankfully for the rest of us, this blog allows us to live vicarious through these well-traveled souls and pick up as much advice as possible in the process. Rather than formal reviews, this is a personable blog that instead acts as a kind of photographic diary of this family’s globetrotting, but there’s also plenty of suggestions to assist – information such as the best travel apps to install on your smartphone is always useful. Red Tricycle are all about quality time with the family, and while this is not specifically a travel site, you’ll certainly find plenty of information on the blog about how to make the most of traveling with young people. 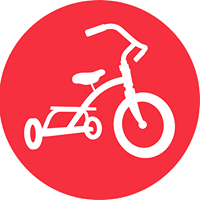 You’ll find information about amusement parks no matter what the needs of your children, while if camping excites you then you’re not alone – Red Tricycle have a plentiful supply of links and information on this subject. Quirky listicles such as Ten Resorts with Epic Water Features set this site apart from its competitors. As you can probably imagine from the cute title, this blog is hugely charmingly written by Jessica, wife and mother of four boys. The site itself thankfully lives up to the heady expectations laid by the moniker. Jessica doesn’t sugarcoat the struggles that can arise from traveling with children, but she’s also at pains to explain that it’s always worth it – and after perusing Suitcases and Sippy Cups, chances are you’ll believe her. This blog primarily concerns itself with travel within the USA, but it’s certainly thorough – and also packed with lifestyle advice for anybody who homeschools their youngsters in order to accommodate their traveling lifestyle. How to Find Educational Opportunities and Field Trips While Traveling sums this approach up well. If you’re looking for a little luxury in your family travel, then Poshbrood is the site for you – only the crème de la crème need apply. All destinations recommended by Poshbrood (which need to be searched for separately – you’ll find no lists here) have been carefully vetted to ensure quality, and – in the words of the blog – mom-tested, with a heavy boas toward hotels; you won’t find any adventure blogging here. 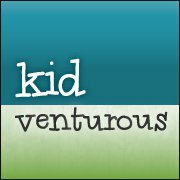 Written by professional travel blogger and enthusiast Erin Gifford, Kidventurous is a US-centric site designed to help parents and families plot vacations that will broaden the horizons of their children, in addition to providing oodles of entertainment and adventure. With particular focus on popular destinations such as Disney World (this list of free things to do at the resort, for example, is hugely helpful reading) and the many and varied National Parks dotted all over the nation, as well as special articles dedicated to activities such as teaching your children golf and city or country-centric guides, this site is a must-bookmark if you’re fretting about what to do with your mini-me’s while taking some time away from home. 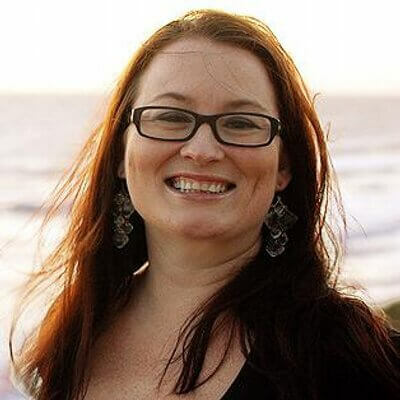 La Jolla Mom, aka Katie, is a luxury travel writer that uses her experience to encourage visitors into Southern California as much as blogging about her own experiences of traveling. 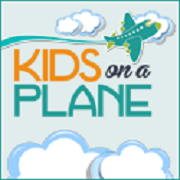 You’ll find all kinds of advice on how to best handle long-haul flights with children on this blog, and it’s utterly essential reading if you should decide to visit San Diego. 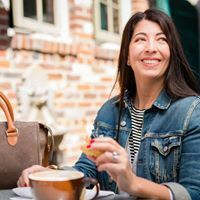 Stefanie Fauquet is the author of Mommy Musings, a lifestyle travel blog that follows the author as she flies, cruises and eats her way around the world – this blog follows world cuisine as much as travel, making it heaven for foodies. 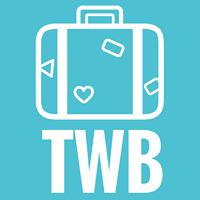 The travel blogs are just that – blogs, which make for fun and enjoyable reading. Rather than critiquing hotels and resorts, Stefanie instead relays her adventures in various destinations from the USA and Canada, Europe, Mexico and the Caribbean – and, of course, the obligatory look into the theme parks that any mom of a teenager will be visiting! Follow Stefanie and her family around New Orleans over the course of a week to get a flavor for these Mommy’s musings – you’re sure to be back for more afterward. 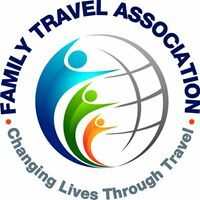 The online home of the Family Travel Association, this site is not a blog but rather an essential informational resource for anybody looking into the prospect of traveling as a pack. This site is filled with formal articles pulled from all kinds of external and internal resources, including a great many that you wouldn’t find a conventional family travel blog (The Alaska Experience: Risk or Real Life? being a case in point). 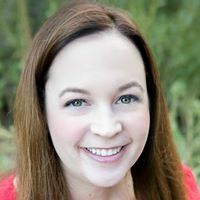 Ashley Muir Bruhn is a professional blogger that specializes in lifestyle, with fanily travel being one of the many subjects covered by Hither & Thither – this California girl makes no bones about how much she loves to travel with her husband Aron and two young children. Rather than reviews and recommendations of accommodation or airlines, Hither & Thither documents the experiences of the Muir Bruhn clan from all over the world, in addition to a handful of helpful hints and think pieces such as What Does Family Friendly Travel Really Mean? Written in a light and breezy tone and welcoming to any new reader, Hither & Thither is a fine example of how to run a professional travel blog. 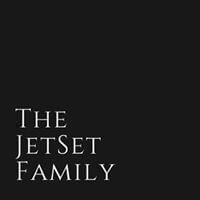 A luxury travel and lifestyle blog, The JetSet Family isn’t necessarily a site that specializes in discussing child-friendly travel; that’s just another part of the whole. Travel is actually a very small part of the site, but petrolheads will certainly enjoy the segments on test-driving family-friendly luxury cars. 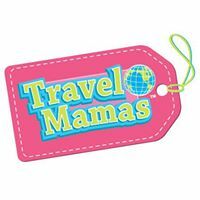 One of the most detailed sites on the web thanks to a team of eight disparate writers penning the content, Travel Mamas is absolutely bursting at the seams with advice, reviews, blogs and everything else you could possibly wish for on the subject of traveling with kids. As a bonus, they even cover grown-up getaways for when you simply can’t face answering the question as to whether you’re there yet again. 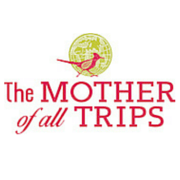 It’s hard to know where to start with Travel Mamas as there is so much content to choose from. This site dedicates a large amount of space to cruise ship vacations, which is a subject not often covered in great detail – if you’re avoiding such an experience as you’re worried about your kids being cooped up, articles like Cruising with Kids may set your mind at rest. 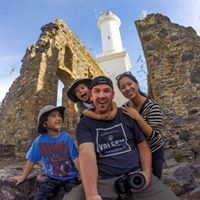 Kevin and Christina, along with their two sons, are the Wandering Wagars – an adventorous family that enjoy escapes all over the globe and document them on this blog. It’s a visual feast so it’s hardly surprising to learn that Kevin is a professional photographer – you may think that you have no desire to visit some of the locations listed on the site, but one glance as glorious visuals such as these may soon change your mind. You’ll find some useful reviews and travel tips amidst the fine photography, but this is not a site that you’ll bookmark for the words (well-written though they may be) – Wandering Wagars is primarily a treat for the eyes. Considerably more terrifying for many travellers than Snakes on a Plane, packing children onto one of these tin cannisters is many peoples idea of a nightmare. 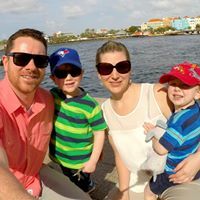 Thankfully Canadian blogger Cheryl, who documents her travel alongside her husband and two children, is on hand to sooth the soul with plenty of suggestions for making this experience more palatable. While there are no shortage of reviews of hotels and resorts on the site, the real jewel in the crown of this particular blog is the travel tips – helpful stuff that will make you wonder why you didn’t think of it first, but grateful that Cheryl did. Handily collated in one long list, you will discover all kinds of things that you never realized you wanted to know through Kids on a Plane. 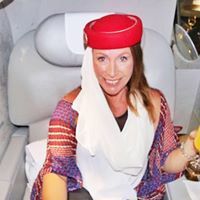 My motto is that “money is always an option!” says Tamala Prickett, author of Chic Family Travels, and money certainly talks on this blog – a guide to the finest five-star family hotels and first class flights available online. Not a site to investigate if you are on anything resembling a budget, but if you have the cash to spare why not treat your toddler to a luxury resort. An absolutely charming concept, this Aussie site compiles a list of travel-related activities that every kid should get to experience at least once (according to Leah, the author of Kid Bucket List). Follow this blog keenly and watch with delight as Leah’s own children are able to cross items off this fabled list – and print one of your own off to share with your own family! 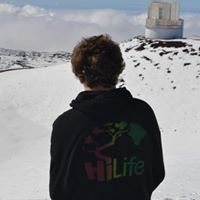 Don’t get the wrong idea though, Kid Bucket List is not all froth and fun; you’ll find some interesting and essential content on the site, including an informative article on traveling with a chronic illness. Karen and Matt are jovial British travel enthusiasts with three mini-travelers to call their own, and this blog chronicles their adventures as a family – whether those be comparatively simple day trips, or longer and more elaborate journeys to foreign shores. Readers are welcome to submit reviews but this site primarily remains the adventures of a single family, with a focus on the UK and Europe. Equipment such as clothing is reviewed, along with quintessentially British articles such as a listicle of the Ten Best Fish and Chip Restaurants by the Sea. Heather Delaney Reese is the author of It’s a Lovely Life, and to be blunt, this is also a lovely website. Effortlessly cheerful in tone and filled with useful information and entertaining content, you’ll feel as though the Reese family are old friends by the time you have finished flicking through the pages and pages of their adventures. You’ll find information and tips such as what to do if you find yourself injured or sick whilst on vacation amidst the posts, but for the most part this is a joyful romp through the lives of five happy travelers that are having whale of a time exploring the world, and inviting you to join them vicariously. 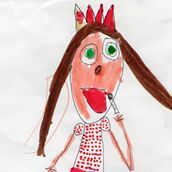 Parent Shaped is the blog of Penny Alexander, a British writer and mother of two. Really it’s a parenting blog (the name may have given it away), but fortunately travel plays a major role in the lives of Penny and her family, and thus you’ll find an abundance of relevant content here. 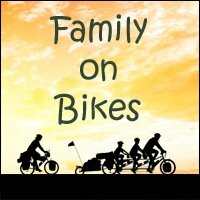 It’s mainly a blog that describes some of the travel adventures of the Alexanders (which tend to be varied – this family tend to fly all over the world, but are equally happy sleeping under the stars on a camping vacation), and some of the tips shared, such as this guide to enjoying a new city with children in tow, are every bit as entertaining as they are educational. Jodi Grundig started Family Travel Magazine to accommodate her passion and love for travel alongside her husband and two children. Covering all kinds of subjects from ski vacations and cruises to advice on how to take a family staycation or domestic road trip right through to reviews of theme parks and museums, if what you’re looking for can’t be found on Family Travel Magazine’s website, the chances are it can’t be found online. Updated with regularity, the site also keeps a close eye on deals and sales that may arise to ensure that family travellers are able to book a trip without breaking the bank – if nothing else, be sure to bookmark the Travel Packages and Deals tab. 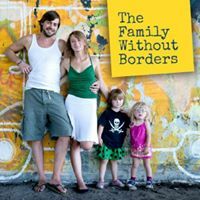 Anna and Thomas firmly believe in the idea of a family without borders, not least because of their heritage as a Polish journalist and German photographer respectively. Throw in their two young daughters, Hanna and Mila, and a thirst for travel adventure and you have the makings of an interesting read for any parents looking for inspiration for their own adventure. The family have documented their visits to dozens of different locations with countless HD photographs and blogs, including a number of different themed trips – cruises, hikes and sunshine breaks are all been covered on this site. For a taster of Anna and Thomas’ life and inspiration to ape it yourself, check out some of their astonishing slideshows, or this insight into young Hanna’s reaction to her nomadic lifestyle. Sarah Fazendin is a travel agent by trade, which makes her ideally placed to provide information and ideas for how to spend your summer vacation. Rather than whooping up the single life as a single gal, however, Sarah is also a wife and mother of two, meaning that her perspective is equally beneficial to those looking to travel as a family. A Family Travel Blog doubles up as an online booking portal for your next excursion and a blog that may well provide you with inspiration as to where you’d like to jet to next. 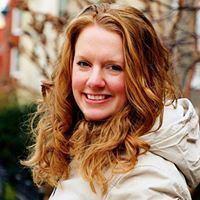 Being both a professional and personal traveler Sarah will be able to cut through the nonsense often associated with looking for a holiday online, and her blog is written in a warm and personable tone that’s packed with advice. 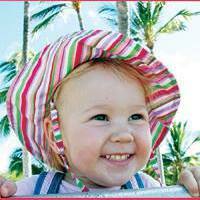 Toddlers on Tour is an Australian site but the advice it offers those looking to travel with young people is largely universal. 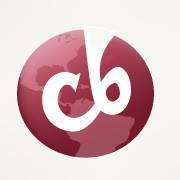 Written by former flight attendant Sally-Ann Brown, who has experienced both sides of the travel coin in quite some detail, the site features a blog that follows the Browns on their globetrotting adventures, but mainly channels it’s efforts into advising parents on how to make the most of their family travels. The guide to traveling with kids if you’re a sole parent will no doubt be of interest to anybody who cannot share the load of parenting, but you’ll also find all kinds of helpful hints on what to pack, how to travel with youngsters by any number of different methods, and even a guide to traveling with a disabled minor. 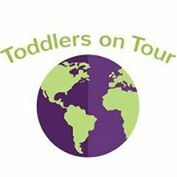 Truly, Toddlers on Tour is one of the most useful resources for any parent with plans to see the world. The Long family live their lives a little differently to most, and this website also comes with a unique touch – whilst many travel blogs revolve around a number of short, sharp trips all around the world, Alyson Long – and her husband and two children – don’t actually have a home base to speak of. Instead, this roaming foursome moves around the globe, updating on their adventures as they go – and adventure is the word, as the Long’s appear to be undertaking a new breathtaking challenge at every stop. On this site you’ll find all kinds of blogs, glossy photos and reviews of recommended travel equipment for adults and children. 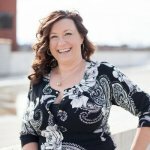 Perhaps most inspiring of all, Alyson shares the secrets of monetizing travel blogs if this is a lifestyle that appeals to you. Helen Wills is the Mummy in question here, with Actually Mummy starting life as the diary of her daughter GG, or Glib Girl. 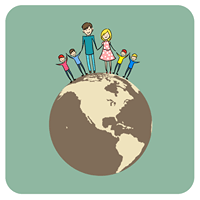 While the site has evolved to cover Helen’s opinions on all manner of subjects, largely those that revolve around parenting, baking and the Type 1 Diabetes diagnosis that GG lives with, there is a sizable chunk of the site dedicated to the travel adventures of this British family. For a taste of this life, check out the archives of the family vacation to the Caribbean. Photographs, reviews and advice are all in plentiful supply and are guaranteed to leave you green with envy and opening a new browsing tab to a travel agency – just be sure to bookmark this one to return for the interesting alternative content. Tigerlilly Quinn is a fashionista and interior design specialist, but perhaps most of all, she is a mother of two under-5s. 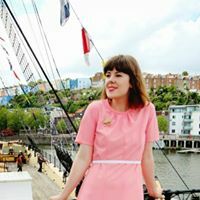 Based in Bristol, this site follows Tigerlilly’s lifestyle as she brings a little retro and vintage chic to modern life, offering her unique insights into motherhood, travel and fashion; if you find that you enjoy this blogger’s characterful look you can find links to everything she wears on the site. Most elements of this young woman’s life can be found on her blog, and if you investigate corners of the site such as the interior design tab you’ll be able to watch the makeovers of her home in almost real-time while the travels of the Quinns are equally well-documented. 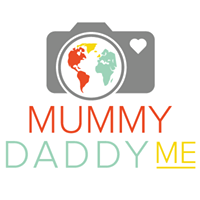 Mummy, Daddy and Me Makes Three is written by Katie, a British wife and mother of three – yep, the family involves has grown almost as quickly as the site. The site has a number of functions, providing insights into all kinds of family life, but we’re here for the travel tales – of which there are plenty. A map is available to give you an indication of just where this itchy-footed fivesome have been, while the blogs and artistic snapshots of excursions such as a family California road trip will be sure to have you contemplating a similar adventure yourself. Based in Iowa and traveling the country in her RV alongside her husband and two children, Jody Halsted is the author of Family Rambing; an insight into the life of a family that just loves to hit the road and experience all facets of America for themselves. You’ll be hard-pushed to find a corner of the States that the Halsteds are yet to visit, and every one of these adventures is chronicled as a blog and set of photographs – the site is updated weekly. Jody is a professional writer too, which helps; the quality of prose in blogs can be variable, but the writing on Family Rambling is smoother than silk and a pleasure to follow. Don’t believe us? Just take a look at this piece on Christmas in New Orleans. Looking for inspiration on pedal-pushing vacations? Look no further, as John and Nancy Sathre-Vogel have cycled all the way from Alaska to Argentina with their two children – that’s a 17,000-mile round trip. Nancy has even penned a book about the experience, Changing Gears, but in the meantime you can learn a great deal from this blog. The blog makes for some very interesting reading, with the ever-ambitious Sathre-Vogels adding hiking and mountaineering to their list of vacation adventures, but it’s really the cycling where the site excels. Bike touring tips, suggestions on how to cycle with children in tow and even an online shop are all on offer, but perhaps most fascinating is the guide to ‘roadschooling‘ – a must-read for any traveling family! As you may have guessed from the title of their blog, Nicole and Cameron Wears are Canadian. Writing out of Vancouver, the purpose of this site is to share their adventures with their two young children, as well as offering advice to fellow aspiring family travelers. 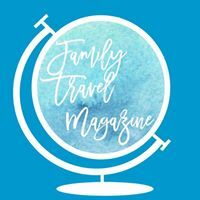 The Family Travel Tips segment is helpful, sharing things that these prolific bloggers have picked up on during their adventures across all seven continents (When Travel Bloggers Get Scammed is particularly recommended reading), but you’ll pick up plenty from all over the blog. It’s also well laid-out, making this one of the most aesthetically pleasing sites on this subject that you’re likely to find, and is written in a friendly, conversational tone. You could easily lose a number of hours here! 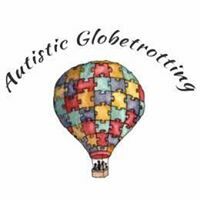 Autism need not equal any reduction in your quality of life, as Margalit Francus has proved with Autistic Globetrotting. Devised to assist her autistic eldest son, this blog takes in visits to almost a hundred different countries and cities as Margalit jets around the world with her family. 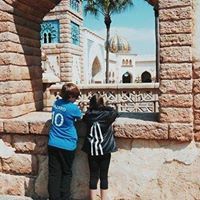 Obviously traveling with an autistic partner can come with different aims and challenges to otherwise, and this is detailed in great length throughout the site; the travel tips segment is filled with suggestions on how to make the journey as comfortable as possible for all concerned, but overall Margalit does not allow her son’s condition to ruin her adventures. 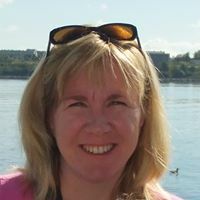 Her insights into autism in the travel industry are hugely enlightening, but there is more information on general travel here than you’ll find on most competing blogs. Stuffed Suitcase occupies a pleasant niche in the realm of family travel blogs, balancing the adventure of the travel itself with advice on packing, the appropriate gear to take, and perhaps most welcome, what to do with yourself between trips! Packing tips may sound unnecessary, but be honest – how much do you hate this process, and how much unexpected aggravation does it cause you every time? Stuffed Suitcase takes the sting out of this with checklists, and these are just some of the lessons learned during this endearing blogger’s many and varied travel experiences all over the world with her family in tow. A common complaint about travel blogs, especially those that deal with family excursions, is that they attempt to promote a lifestyle that some readers simply cannot afford. Two Kids and a Map takes a different tack, proving that it’s possible to enjoy family adventures on a budget. There’s something of an emphasis on the outdoors with this blog, which largely unfolds around the Colorado home of its author, Jennifer (though plenty of trips to Europe and South America are also featured). Hikers will find plenty to enjoy, and it’s clear that the titular Two Kids have bags of fun during these excursions – almost every trip involves something seemingly tailored exclusively to them, showing that it’s a big world out there with no shortage of excitement just waiting to be discovered. The last post was made in February 2017, but there’s a huge archive for you to dip into while you wait for an update. There are plenty of family-friendly travel blogs on the Internet, but sites like Globalmouse really digs deep into how to make the most of traveling with children – articles like 50 Places Around the World to Take Your Kids Before They Grow Up will delight any parents that are determined to broaden the horizons of their offspring through globetrotting. Every possible corner of Globalmouse is tailored to keeping your ankle-biters entertained and educated, whether that’s in describing destinations that are perfect for mini sporting enthusiasts or simply palaces of playtime fun, but don’t panic – you’re catered for too. The site offers guides to locations that will expand your palette with the finest food unimaginable, and a number of breathtaking, romantic views thanks to the HD photographs that decorate each article. Is this the real life? Is it just fantasy? It may appear like a dream, but for one American family of five that decided to leave the rat race behind and travel across Central America and Southeast Asia it’s very much a reality. Of course, permanent travel means that that homeschooling is essential, which is what makes What Are We Doing to Our Children? so interesting – an impassioned defense of the way of life chosen by these self-proclaimed digital nomads. It’s under a tab of this same name that you’ll also find reviews and recommendations of all kinds of communication and electronic devices, which will be heaven-sent for anybody who plans to work while traveling overseas. British mother of two Nicola is now based in Hong Kong, and is determined to pass on the travel bug that sank its teeth into her to her two children. As a result, Jetlag and Mayhem is a guide to all things pertaining to jet setting all over the world with children in tow. This blog is a little different from most competitors in the sense that, whilst it naturally covers a number of different destinations, it actually places a greater emphasis on the journey and not the destination. 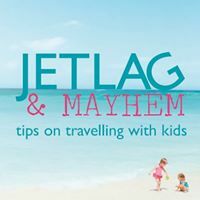 On Jetlag and Mayhem you’ll find reviews of airlines, airports and flights, in addition to tips on how to manage those long excursions with two little ones. Perhaps the most interesting element of the blog is I Want This!, which reviews all of those little touches and gadgets that make travel even more fun. 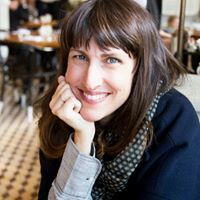 Mara Gorman is a professional writer with a serious addiction to travel – one that is shared with her husband and two sons, and makes up the bulk of The Mother of All Trips. This particular blog, in addition to the usual helpful tips on travel and reviews of destinations that will make you green with envy, also focuses a great deal on food – if you like to eat your way around the world, then this is the blog for you. There is also a real emphasis on skiing vacations on this blog, with Mara positing in one interesting post that she finds a family vacation on the slopes to be the best way of bonding her band of adventurers together. Delicious Baby pride themselves on their ability to make travel with kids fun, and the team behind this blog certainly do everything they can to live up to that noble aim – they have just launched a new mobile phone application to enhance the travel experience of any family. Primarily penned by mother of three Debbie, the site also allows contributors from all over the world to add city guides based on their own experiences, while the blog’s no-frills approach to advice on subjects such as how to baby-proof a hotel room will delight a great many readers. You won’t find glossy photos here, but you will find plenty of useful information. 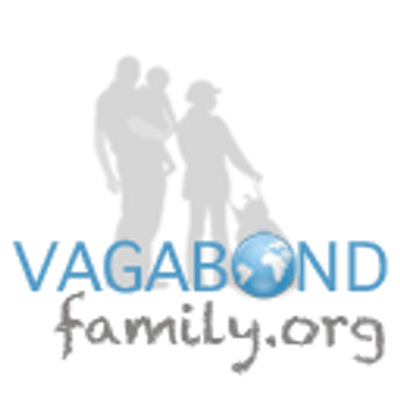 Vagabond Family is a community site that invites contributors from all over the blogosphere to essay their own adventures in the nomadic family lifestyle. Started by Tracy and Colin Burns, who have spent the last five years exploring the world all with their children in tow, the whole blog is now bustling with stories and tips from all kinds of different experiences and perspectives. The plentiful supply of budgeting information is welcome, particularly the insights into the difference between a travel budget and that connected with traditional household expenses. You won’t find the usual reviews and personal diaries of different traveling families here, but they are plentiful elsewhere; instead, Vagabond Family is an insight into how this lifestyle is within reach of anybody. Traveling with kids is one thing, but traveling with a baby? That sounds like a whole new world of potential hurt. Thankfully Shelly Rivoli is on hand to assist with advice on this and make the experience one that you’ll treasure for the rest of your life. Any kind of activity with an infant involves being so organized you would put a military platoon to shame, and that’s where this site specializes. Printable checklists abound, and the advice is plentiful; you’ll find reviews and recommendations of everything you may need from travel-friendly strollers to the best car seats and toys for a long road trip, and you’ll be able to download detailed guidebooks from the site. Read this guide to getting a baby to sleep on an airplane and wonder how you ever lived with Shelly Rivoli before now! 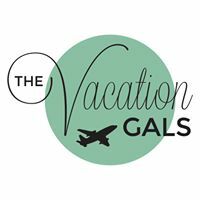 The Vacation Gals are a trinity of fun-loving, traveling fashionistas that document their many family holidays and getaways with their friends. Rather than espousing the virtues of travel as a way of life, this blog is all about the fun, fun, fun – as the name suggests, you’ll find talk of vacations here, not backpacking and round-the-world experiences. The site is easily broken down into a number of sub-categories, so in addition to kid-friendly family holidays you’ll also find tips on Girlfriend and Romantic Getaways. That’s not to say that younger travelers are neglected here – far from it, as many of the reviews focus on just how much fun the kids of these women had while they were away. It’s just considerably less dry than some blogs on this subject – as an article like Bungee Jumping in New Zealand will demonstrate. Pit Stops for Kids insists that, “getting there should be half the fun”, and it’s certainly a very welcome addition to the realm of travel blogging for families. 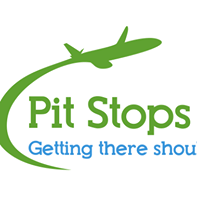 Rather than concentrating on the destination, this blog concerns itself primarily with the journey – penned by three different authors from the east coast, west coast and mid-west of America, you’ll find the blog loaded with suggestions for making the car journey to the airport bearable, in addition to a number of reviews and suggestions of domestic locations that can be visited. Plan your journey according to the recommended roadside attractions to keep the mini-muffins entertained on the journey, and thank the authors for their helpful tips on subjects such as getting kids to sleep in hotel rooms! Lisa Goodmurphy has been traveling the world with her daughter for over two decades, and with dozens of destinations under her belt she has plenty of tips and experience to share. Gone with the Family has an archive of posts that stretches all the way back to 2011, all of which are easily obtainable with just a single click of the mouse, and the blog is neatly divided into the expected sub-sections – destinations, review, travel tips and reviews. One unique element of this site, however, is a dedication to the magical world of Harry Potter! 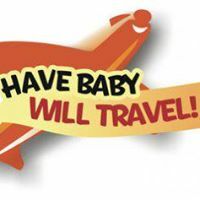 Have Baby Will Travel is Corinne McDermott’s response to a dearth of online information for those travelling with infants back when she started the site in 2007, and now this blog has grown into quite a substantial resource. Inviting other parents to submit their reports of their jaunts to a variety of different cities and countries with a baby nestled in the crook of their arm, you’ll find plenty of first-hand accounts on what to expect on a baby-toting vacation from this blog. Unsurprisingly, Disneyworld gets a sizable amount of attention, while the tips section is something of a goldmine – especially the 5Ts of Toddler Travel Tips, which gives an example of the fun and breezy writing style of this blog. 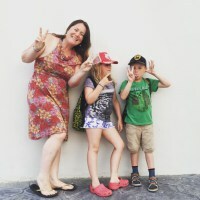 Walking on Travels is a blog updated daily and edited by Keryn Means, promising parents that they need to give up their traveling dreams on order to raise their children – and showing them exactly how the best of both worlds is a possibility. The site also offers parenting tips (primarily through the sister site Walking on Mom), but obviously we’re here for the travel. Thankfully, Walking on Travels really delivers on this front. 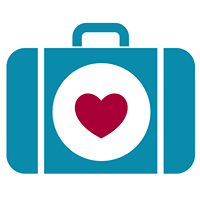 Tips on packing and destinations are plentiful, as are guides to appropriate clothing to take to a variety of locales. 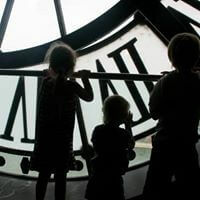 Perhaps most helpful, however, is the lengthy selection of articles that take on the scourge of every traveler, including children – the dreaded jet lag. 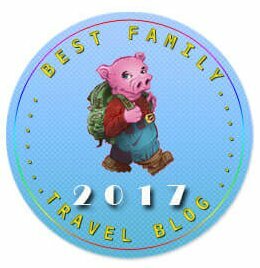 We hope this list of amazing family travel blogs will help you to see the beauty in traveling with your family in 2017.